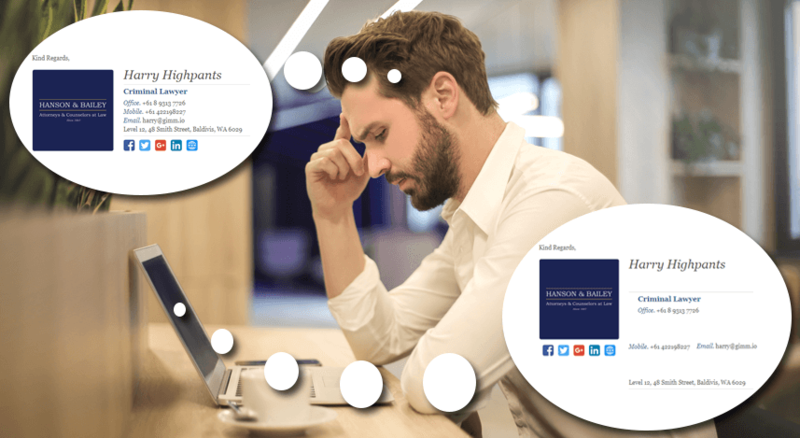 So, you’ve been tasked with creating an email signature for your business, and you’ve seen plenty of YouTube videos explaining how easy it is to create an email signature using Microsoft Word, right? I’ll give you one tip: Don’t create your email signature with Microsoft Word! Keep reading to find out why this is a really bad idea that could be damaging your company image. 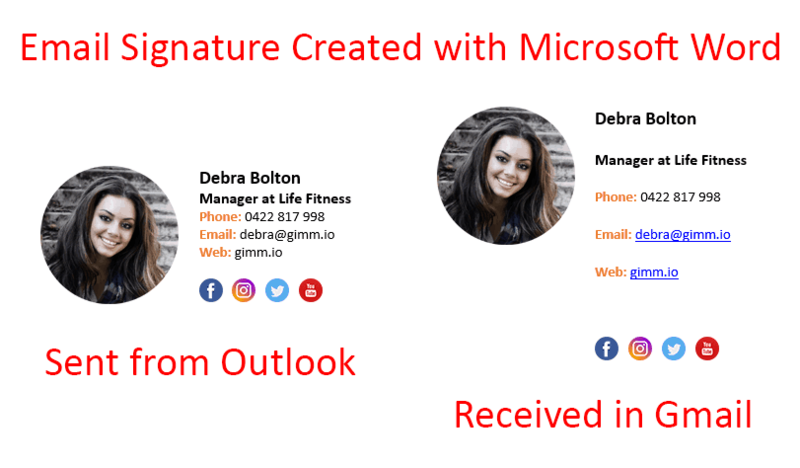 What happens if you use Microsoft Word to create your email signature? Short Answer: This is what happens. Long Answer: When you create an email signature using Microsoft Word, it’s created using the Word Rendering Engine. The Word Rendering Engine is used in most newer versions of Outlook to render the HTML in email signatures. However, no other email clients use the Word Rendering Engine – and this is where the problem begins. If you were to create an email signature in Word, the signature will most likely look fine if you only email people who use Outlook (the compatible versions). If you email people who use any other email client such as Gmail, Apple Mail, Thunderbird etc, your signature will look quite mangled and broken, and this could be doing damage to your business. The Word Rendering Engine has made it much easier for users to copy and paste information between different Microsoft software, but its rendering of HTML leaves much to be desired. There are many documented issues with the Word Rendering Engine, and Microsoft is slowly fixing these up, but we have to work with what we’ve got. Which email clients use the Word Rendering Engine? This means, if you create your email signature with Word, only recipients who use the above versions of Outlook will see your email signature correctly. With Outlook currently being #4 in the email client market share (December 2018), hopefully now you can see that it would be silly to use Microsoft Word to create your email signature. Still not convinced? Here’s the proof! We ran a test to show exactly what happens to email signatures when you create them using Microsoft Word. Notice there was excessive spacing added to the email signature when Gmail tried to render it? This is because of the way that Microsoft Word creates tables and spacing. We then created the exact same signature using Gimmio’s email signature generator and performed the same test. The signature was basically identical when rendered by Gmail. This is what we like to see! How do you create an email signature that is compatible with the popular email clients? 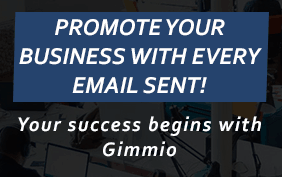 With Gimmio, you can create some really amazing email signatures (for FREE) which are compatible with all major email clients. This means, when you send your email to someone, you won’t have to worry about whether they have Microsoft Outlook installed or if they will see your email signature correctly – that’s our job! When we create our email signature templates, one of the major tasks is ensuring they are 100% compatible with the popular email clients. If there is ever a compatibility problem, we fix it straight away. If we can’t fix it, we simply bin that template. Unless you can guarantee that all your recipients are using Outlook (almost impossible), and they’re also using the versions which use the Word Rendering Engine, you really shouldn’t use Microsoft Word to create your email signature.